Filled and focused on integrity, this clinical skincare company offers formulas that give results that are everything but ordinary. 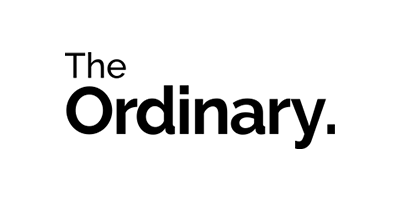 The Ordinary is a brand committed to stripping back, from unnecessary packaging to misleading ingredients. Coming from DECIEM – an umbrella of brands that also sees the likes of NIOD and Hylamide, The Ordinary works to pioneer innovation in skincare by bringing honesty and modesty to functional beauty. After noticing that commonplace technologies are often referred to as groundbreaking and therefore accompanied by insensible prices, The Ordinary’s mission is to disallow commodity to be disguised as ingenuity. Boasting an evolving collection of treatments that use familiar and effective clinical technologies, all at heart-warmingly reasonable prices, it’s never been easier to stock your shelves with skincare that sees to complexion concerns. Shop a range of retinols, acids, oils and vitamins that are 100% cruelty-free and free from mineral oils, parabens and sulphates – it’s honest skincare at its best. To find out more about the Ordinary skincare and what might be right for you, check out our guide: The Ordinary Skincare: A Beginner's Guide.